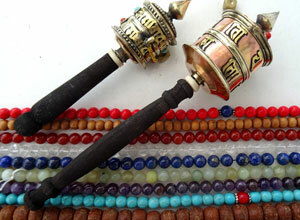 Meditation aids, prayer wheels and prayer malas. 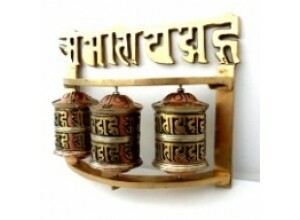 We stock both hand-held, wall and desk mounted prayer wheels. We stock a large range of prayer malas in gemstone, sandalwood, bone, bodhi seed and lotus seed. 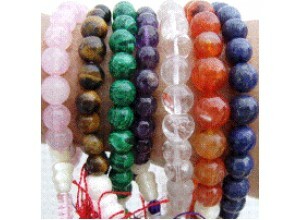 We also have a range of hand malas or power bead bracelets.